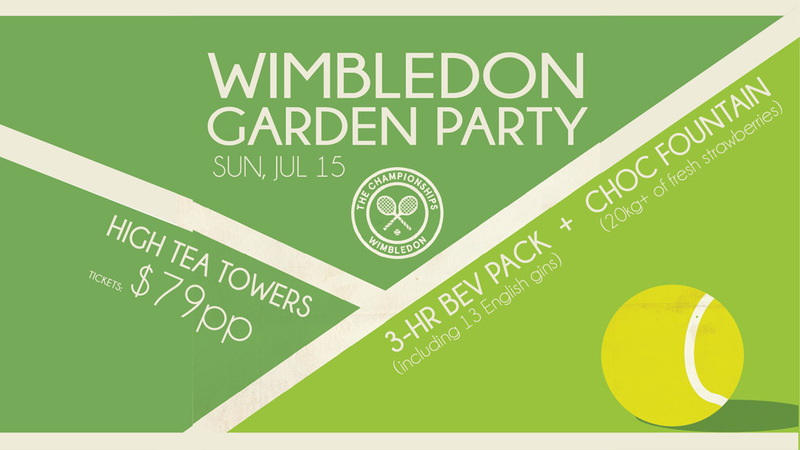 In celebration of the world's most renown & exclusive tennis tournament, we've got the pleasure to invite to our most exclusive Gin Event of the year, featuring a massive lineup of English Gins, dipping choc fountain (with unlimited supply of strawberries!!! ), and our best-selling high tea towers! Have them neat (as a tasting paddle), on ice, with tonic or soda, your pick!! !